We just saw the new Samsung Galaxy A20 and now we have details on another device, the Samsung Galaxy A40. The Samsung Galaxy A40 is rumored to come with a 5.7 inch display and it will apparently be powered by a Samsung Exynos 7885 and will come with 4GB of RAM. The handset will come with a small u shaped notch at the top of the display and it will also have USB-C and a 3.5mm audio jack. 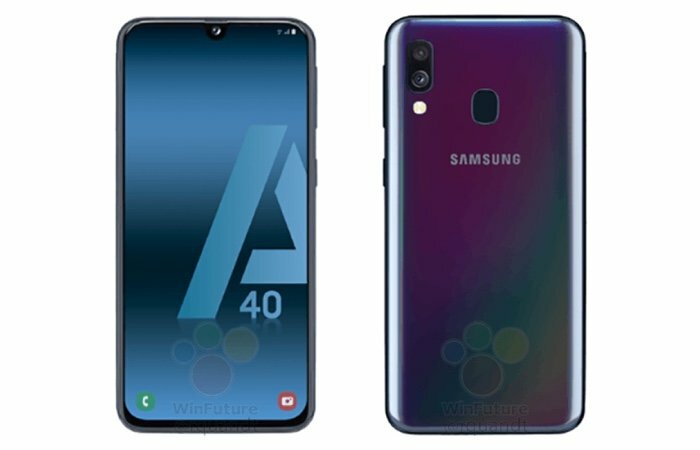 The Galaxy A40 will be available in a range of colors at launch, these will include Black, Light Blue, and Coral and will apparently cost around €250. Samsung is holding a press event on the 10th of April, we are expecting to see tbe new Galaxy A90 at the event and may also see the Galaxy A40 at the event.